NANOLEK is Russian biopharmaceutical company having own high-quality full-cycle production in accordance with GMP standards, specializing in production of import-substituting and innovative drugs both proprietary and created with participation of international partners with focus on prophylactic and treatment of socially significant diseases. In December 2014, the first stage of production was launched. In 2015, Nanolek started production of the drugs from the group of statins, antihypertensive and antihistaminic agents as well as the drugs for decrease of risk of thrombogenesis and improvement of microcirculation on the basis of the production site in the Kirov Region. In November 2016, production of vaccines and other biotech drugs started. 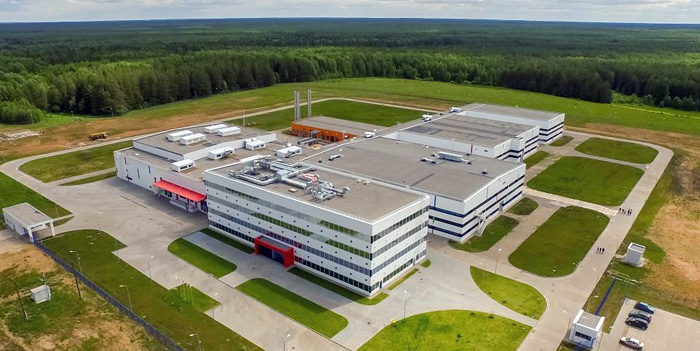 The production site in the Kirov Region is a technological complex, created according to GMP and ISO standards and consisting of three autonomous production buildings with advanced high-technology equipment and a range of associated facilities (administrative and amenity building, laboratory of quality, power unit, warehouses and so on). The complex provides for the use of several full-cycle production technologies: production of cytostatic drugs in solid and injectable dosage forms, biotechnological production in syringes and flasks, production of solid dosage forms. NANOLEK drug portfolio for prophylactic and treatment of socially significant diseases is presented in the following therapeutic directions: vaccines, cardiology, cardiovasculare and associated diseases, HIV and viral hepatitis, oncology and rheumatology. RUSNANO was founded in March 2011 as an open joint stock company through reorganization of state corporation Russian Corporation of Nanotechnologies. RUSNANO’s mission is to develop the Russian nanotechnology industry through co-investment in nanotechnology projects with substantial economic potential or social benefit. The Government of the Russian Federation owns 100 percent of the shares in RUSNANO. Anatoly Chubais is CEO and chairman of the Executive Board of RUSNANO. Work to establish nanotechnology infrastructure and training for nanotechnology specialists, formerly conducted by the Russian Corporation of Nanotechnologies, has been entrusted to the Fund for Infrastructure and Educational Programs, a non-commercial fund also established through reorganization of the Russian Corporation of Nanotechnologies.